Last Friday, our CEO Adam Froman was invited to share his perspective on what it means to be an entrepreneur in the keynote presentation at an employee development event for the marketing team at Corby Spirit and Wine. 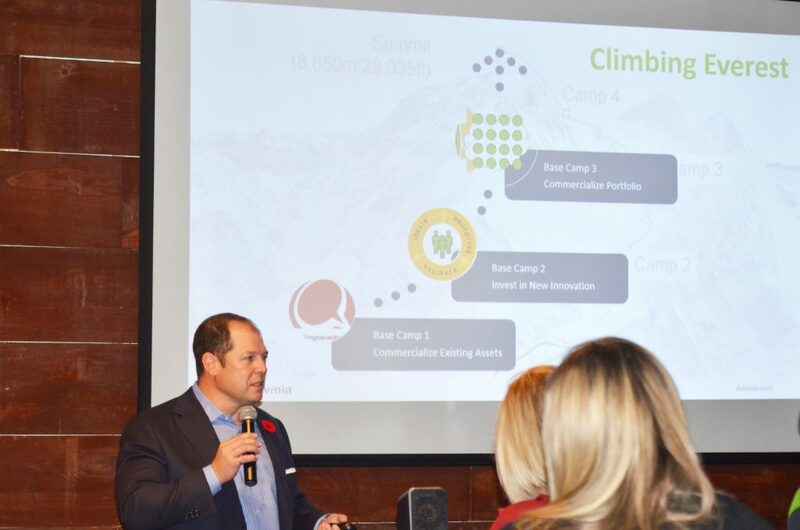 Corby, a long-time client and partner, invited Adam to tell the story of his journey in growing Delvinia and to share insights and advice in an effort to inspire their team members to adopt an entrepreneurial spirit and mindset within their respective roles. In addition to talking about the evolution and growth of the business, Adam highlighted three key principles that have played a role in Delvinia’s success, including the importance of collective leadership, having a disciplined process and building an entrepreneurial culture. “Collective leadership, when properly cultivated, can lead you to the accomplishment of shared goals and the objective of delivering products and services that people love,” Adam told the team, explaining that Delvinia began to actively follow this approach earlier this year as the company set out on an ambitious three-year plan. The willingness to take risks was another theme Adam touched on, and is an integral part of the entrepreneurship journey. He told the group that many decisions require a leap of faith and a willingness to make sacrifices in order to bring your vision to life. He also outlined the importance of following a process, whether you’re launching a new product, or setting objectives and creating a planning cycle for the year. Adam concluded his talk by sharing how Delvinia has built an entrepreneurial culture based on authenticity and trust – supported through ongoing mentorship – telling the team that great companies are made up of great people.